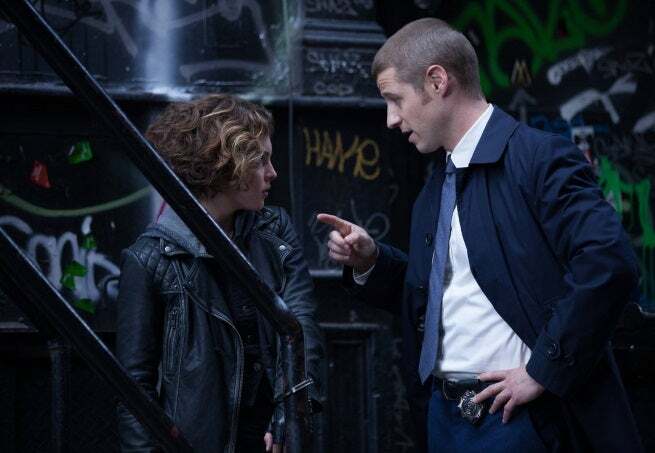 Gotham: Easter Eggs and DC Comics References in "The Balloonman"
One thing that we learned this week is that Gotham is not Arrow or The Flash. While the series' pilot actually drew criticism for having so many overt references -- and while there are some pretty on-the-nose moments in this one, too -- tonight's episode of Gotham, titled "The Balloon Man," didn't actually feature all that many winks and nods outside of the ordinary "Oh, there's Penguin and young Bruce" stuff. What did we see? Read on -- and feel free to let us know if there's anything we missed a few names were pretty flagrantly dropped and it felt like they should "be somebody," but we didn't recognize the names and the DC Wiki provided no links. While he's got no apparent connection to this story, we'd be remiss if we didn't note that there is, in fact, a DC Comics character named Balloon Man. An enemy of the Metal Men, we can't find much about this Balloon Man except that he's a foe of the Metal Men and apparently robotic. In most iterations of the story, Oswald Cobblepot is pretty heavy. It's been noted by a number of viewers and critics that Robin Lord Taylor is anything but. Still, here we see him kill a guy and then immediately go get food. That's the same thing that happened at the end of the pilot, which is likely to beg the question: Will The Penguin get heavy because of a ritual of overeating after a kill? And if so, what does that say about how many people he's killed by the time he looks like Danny DeVito (because, let's be honest, folks -- this show is built to be the Burton Batman universe). Montoya's broken relationship with Barbara isn't too unlike the one she had with Kathy "Batwoman" Kane, right down to the repeated apologies whenever they meet up years later. It's something that they obviously hope to explore down the line, becuase they've been seeding it since the pilot. Young Bruce finds himself captivated by the theatrics and self-styled nature of the Balloon Man, but he reveals later that he's put off by the vigilante's decision to kill. Clearly this is something that will inform his decisions later in life. The on-air plea for the vigilante to come after the old woman's landlord is, as noted below by David Walston, straight out of The Dark Knight Returns. Yes, the first outfit the Balloon Man wore was very similar to the look of Professor Pyg.